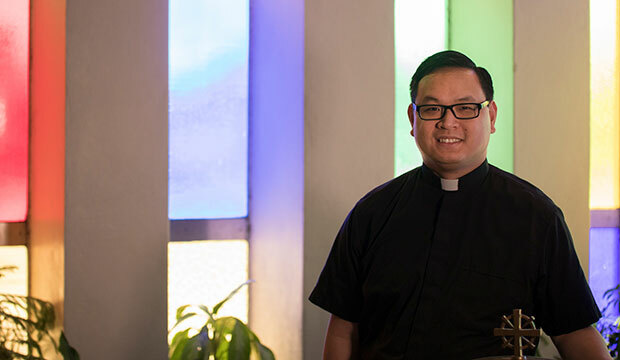 Father Nghia Nguyen, vocations liaison and parochial vicar of St. Elizabeth Ann Seton Parish in Keller, stopped by the North Texas Catholic office recently. Of course, the conversation turned to vocations. NTC: What words of encouragement would you give to a young man discerning his vocation? Don’t be afraid to answer God’s call, even if He is asking you to become a priest. Prayerfully discern. Spend some time quietly and just reflect. Let God open the Scriptures for you, the life of Christ, so that you know Him more. NTC: How did you first begin to discern your vocation? I was born four months premature and weighed barely two pounds. In my first days, I had several brushes with death. My family always gave thanks to God for saving my life. I felt that God had saved my life for a reason. NTC: Is it difficult for a young man to accept a call to the priesthood? He gives us that grace, that dignity to accept this call. That makes you worthy because He has called you. We all have the human fear of error, but trust that God will always guide you, the Holy Spirit will guide you. Your message, the people you interact with, trust in that. NTC: What’s a common hurdle that a discerner must overcome? Many young men feel like they are not holy enough to be a priest. I like to share the call of Andrew and Peter from the Gospels. First, in Matthew, when Jesus called Andrew and Peter to follow Him, they dropped their nets at once to follow, without stopping to think if they were ready enough or holy enough. When we hear the story in Luke, Peter recognized Jesus’ holiness and said to Him, “Go away from me, Lord; I am a sinful man.” But Jesus told him not to be afraid, and Peter followed Him. NTC: What steps do you recommend for someone considering the priesthood? For any young man thinking about discernment, I would encourage them to contact the vocations office, so that one of the liaisons can contact you. Another step would be contacting your parish priest, pastor, or parochial vicar. Talk with them so they can encourage you, lead you, and guide you to the Vocations Office. The Vocations Office can tell you about events such as the St. Andrew’s Breakfast, which is a Mass followed by a meal and a discussion with other discerners and the vocations liaisons. NTC: And the last word? You don’t always have to fit the mold of what society tells you. If God’s calling you, be courageous, accept His call, His invitation and seek it out. Trust in God, trust in His call that He has given you. 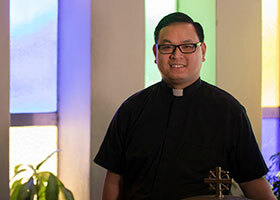 To learn more about religious vocations, Father Nghia Nguyen and the other Vocations Liaisons can be contacted through the Vocations Office at (817) 945-9321.